Join Lindsay as she interviews two Mormon fundamentalists from Christ’s Church, about the history of the temple as it relates to Mormon Fundamentalism. You can tell Mr. Shaffer is very much an attorney in how he evades the truth. While it’s true that Christ’s Church may have started months before blacks were allowed in the temple and given priesthood in the LDS church, they believe that event was the nail in the coffin of the apostasy of the LDS church. They are very much a racist organization that believes that black people should not be allowed priesthood and temple. Followers of Christ’s Church embrace all parts of the Journal of Discourse that includes Brigham Young’s racist rants in regards to black people. Race issues are not the subject of this podcast. If however you want to discuss them with me fell free to contact me. BenjaminNShaffer (at) Gmail. I also disagree with your characterization of our church. While you are correct that we believe that the Mainstream LDS church is in apostasy, and that its official declarations are not binding or revelatory in any way, and that we believe in and accept Brigham Young as a former prophet and president of our church, we do not persecute anyone on the basis of race or any other basis. Lindsay, I’m interested in the masonry walking tour in March and have scoured the internets and sunstone website for more info but couldn’t find anything. Can you point me in the right direction for more info? I’m not being evasive. Race issues are not the subject of this podcast anyway. If you would like to discuss this matter with me in full and hear our actual perspective on this issue, please feel free to contact me at BenjaminNShaffer (at) G mail. Regarding Adam God theory, which I don’t believe, but what does becoming mean in this verse, to me we can’t become what we already are. Very Good episode you guys. One thing I wish was still a part of Mormon Temple practice is the rejoicing tradition that existed in both the Joseph Smith Temples. Solemn rituals and subtle symbolism are wonderful and I find great meaning in them, but once the ordinances are through can’t we all retire to the celestial room or to the assembly hall and break out the instruments, pour some wine, dance, sing, clap hands, eat good food and enjoy our mortal probation in God’s name like they did in Nauvoo? Or do we really think heaven consists of sitting on nice couches and wispering to each other? 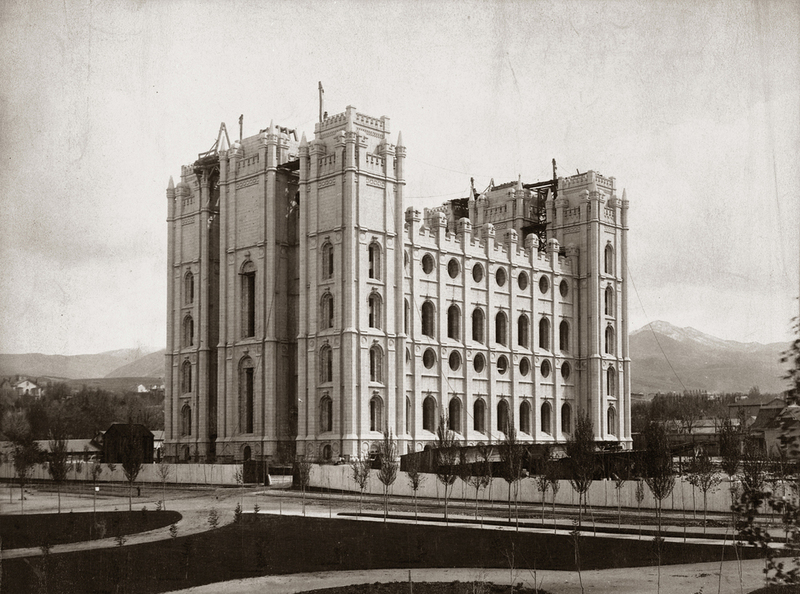 Something was lost in the Deseret temples, and if a church could restore that then I would affilliate with them in a heartbeat. We could learn a lot from Jewish and southern Christian tradition in this regard. Godliness is happiness, not just cleanliness.